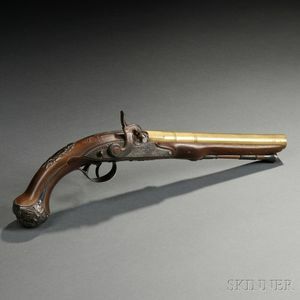 English Percussion Pistol by Brander, c. early 19th century, carved walnut stock with silver fittings and inlays, proofmarked on the tail of the triggerguard, steel lockplate engraved Brander with external safety, brass barrel with steel engraved breech, barrel marked BRANDER . LONDON and proofmarks, barrel lg. 9, overall lg. 15 in. 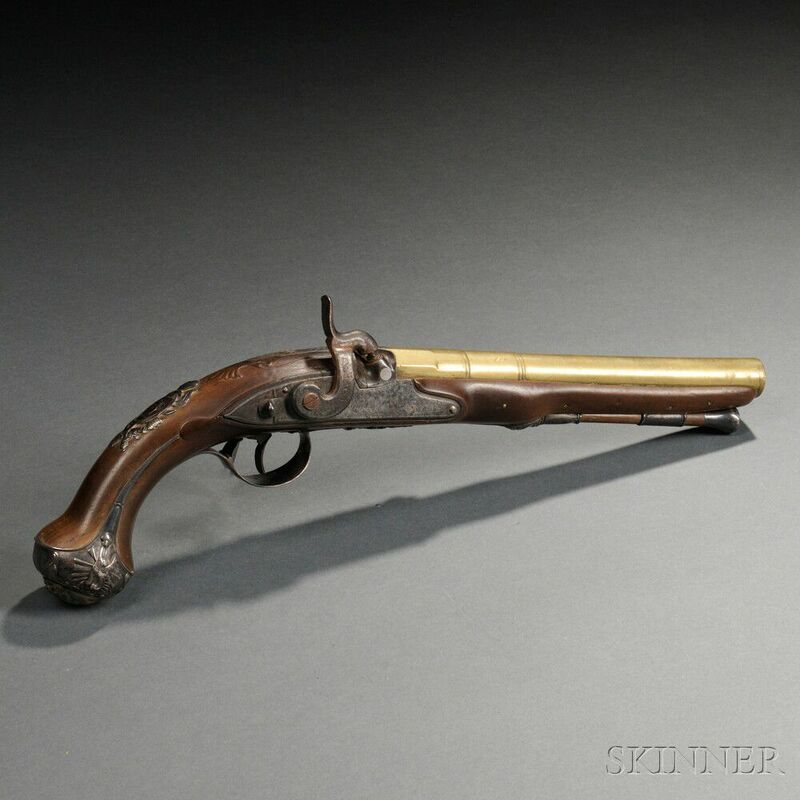 Stock has a few cracks on the left side of barrel, a few pieces of silver inlay are missing.